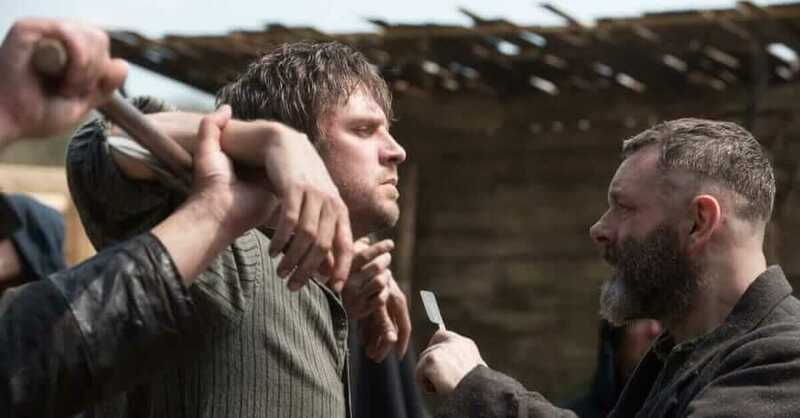 The Horror output from Netflix is coming thick and fast this Halloween season and coming on the 12th of October we have another new release with period Horror film “Apostle”. Here’s everything we know so far. This is the 4th film by Welsh director Gareth Evans who is well known for the Indonesian action-packed, high octane “The Raid” series, while he is also the director the movie was also written and edited by him as well. The film has been released earlier than the date it shall be streaming on Netflix but this is for the Fantastic Fest an Annual film festival in Austin, Texas and the Welsh BAFTA. In the year 1905 Andrea Richardson the younger sister of Thomas Richardson is kidnapped by a mysterious religious cult led by the ‘Prophet’ Malcolm, the cult demands a ransom for her safe return to Thomas, unable to pay the ransom he travels to the remote island where the commune lives and in his attempt to save his sister he delves deep into the secrets of the cult and will stop at nothing to save his sister and reveal the lies which the commune had been built upon. The trailer only dropped recently and its safe to say we are in for one hell of a ride. Creepy. twisted and brutal this film is definitely one to make you feel squeamish! The movie has already been widely praised by critics and already garnering some decent ratings on IMBD (8.2/10) and Rotten Tomatoes (86%) respectively. With its use of gore and suspense, the movie has been comparable to that of a modern-day wicker man and we here at What’s on Netflix cannot wait till October! Are you excited for Apostle? Let us know in the comments below! And, while you’re here make sure to check out our list for all the Horror Movies currently streaming on Netflix.